Happy New Year From OSEP! TOP NEWS: Welcome, Assistant Secretary Johnny Collett! RESOURCES FOR YOU: On Foster and Adoptive Families, New Research, and Assistive Technology! 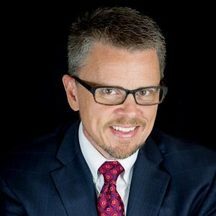 The U.S. Department of Education (ED) welcomes Johnny Collett, our new assistant secretary for special education and rehabilitative services. Collett was most recently the Council of Chief State School Officers' (CCSSO's) director of special education outcomes. He also served as the Kentucky state special education director and a high school special education teacher. 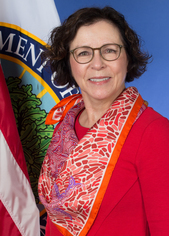 Collett will lead the Office of Special Education and Rehabilitative Services (OSERS) in its mission to improve early childhood, educational, and employment outcomes and to raise expectations for all people with disabilities, their families, their communities, and the nation. 2018 is off to a great start, and OSEP is looking forward to keeping the ball rolling as we work with states, local education agencies, families, educators, providers of early childhood education and early intervention services, higher education institutions, our centers, and many other stakeholder groups to improve outcomes for children and youths with disabilities. In early February, I'm thrilled to be participating in the annual Council for Exceptional Children (CEC) Special Education Convention and Expo, where I will have the opportunity to interact with many of these groups in a meaningful way. CEC 2018 will be held in Tampa, Florida and will host around 5,000 special educators, in addition to practitioners, researchers, and administrators from around the country. I will be presenting two sessions, providing updates from OSEP, and talking about coordinating efforts to implement both the Individuals with Disabilities Education Act (IDEA) and the Every Student Succeeds Act (ESSA). Many of my OSERS colleagues will be leading sessions as well, including OSERS Assistant Secretary Johnny Collett and Deputy Assistant Secretary Kimberly Richey. As in previous years, OSEP will set aside time during the second and third weeks in April 2018 for the SPP/APR clarification period. We will notify states as soon as the clarification dates are finalized. We will hold our February National TA Call for states on Thursday, Feb. 8, at 4 p.m. ET. During the call, we will introduce some of our new early childhood TA centers. Throughout the month of January, OSEP state leads continued to conduct calls with states to explain their designated engagement levels and identify resources for support. You can view more information about the DMS process here. New! IDEA Section 618 Data Files, Notes, and Static Tables! static tables for each of the files, which provide commonly used percentages associated with the IDEA Section 618 data. We also invite you to view the IDEA Section 618 data as displayed in a number of other user-friendly forms. These include our annual reports to Congress on IDEA implementation, and the IDEA (1) Part B and (2) Part C & Section 619 Data Displays, both of which can be found under the "OSEP Response to FFY15 SPP-APR" section in each state's publicly displayed APR. You can navigate between IDEA parts B and C before selecting a state on the public APR landing page. OSEP and ED's Office of Early Learning invite you sign up for our monthly newsletter, Early Learning. This publication focuses on reporting the latest in federal early childhood education and early intervention initiatives, as well as culling timely and effective resources for families, practitioners, educators, and researchers in the field. Subscribe today! You can visit ED's Early Learning website to view more information on this initiative and others. ED's Institute of Education Sciences (IES) has funded a study, Evaluation of Preschool Special Education Practices (EPSEP). The study is administered by Mathematica, the Frank Porter Graham Child Development Institute, and the University of Florida. It is seeking evidence of the impact of an inclusive preschool curriculum with targeted instructional supports for children with disabilities on language, literacy, and social-emotional behavioral skill development. Earlier this month, EPSEP released a request for proposals to participate in the study. They are seeking practitioners from approximately 20 inclusive classrooms, starting in the 2019–20 school year. Submissions are due Feb. 26, 2018. CPIR has recently developed an online resource hub tailored to the needs of foster and adoptive families. About Foster Care: "Quick Facts"
the Digital Accessibility Resource Collection, which helps state and local education agency leaders build state and local capacity to support learners across the ability spectrum. This collection includes an accessibility toolkit, infographics, guides, case studies, and webinars. The IES-funded National Center on Assessment and Accountability for Special Education (NCAASE) has begun an exciting new series called "Did You Know?" Periodically, the center will release a reader-friendly, one-page summary (DYK) of timely research completed by NCAASE researchers. Below are the latest releases, and be sure to check back soon on the website for future DYKs! DYK 1: "Reading comprehension growth across elementary and middle school grades is similar between students with disabilities and students without disabilities"
DYK2: "Mathematics achievement gaps for special education students vary by exceptionality"
OSEP is excited to participate in this year's National Title I Conference, to be held Feb. 8–11, 2018, in Philadelphia, Pennsylvania. The theme of this year's conference is "Liberty to Learn." Sessions will cover three broad themes: instruction, leadership, and policy. Within these focus areas, topics cover the many challenges faced in education, including family involvement and engagement, cultural understanding and support, and developing school-wide practices that ensure the success of every child. Updates from the United States Department of Education. On Jan. 3, ED released a notice inviting applications (NIA) for FY 2018 new authorities for the Innovative Assessment Demonstration Authority (IADA). The IADA is a program administered by OESE, intending to give state educational agencies the authority to establish and operate an innovative assessment system in their public schools, as encouraged in Title I of ESSA. This NIA is a new opportunity for states to pilot innovative assessment systems in a handful of schools as they move toward statewide implementation of new assessment systems. High-quality assessments are essential to effectively educating students, measuring progress, and promoting equity. Applications are due April 2, 2018, for states that would like to implement an assessment system in the 2018–19 school year. Up to seven states may be approved to participate in the IADA. States may apply independently or as part of a consortium consisting of up to four states. States have also been asked to submit a non-binding notice of intent by Feb. 2, 2018. 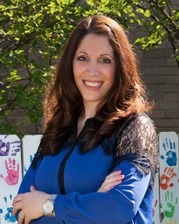 Check out the OSERS Blog for our latest voices, including ED teacher ambassador fellow Melody Arabo, who discusses her passion for bringing the educator's perspective to Washington. We also sat down with Gallaudet University research center staff members, Melissa Herzig and Melissa Malzkuhn, who have developed an exciting new platform and app for creating digital storybooks geared towards early learners who are deaf.